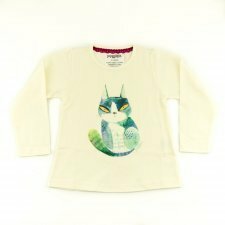 PIPI&PUPU is a nice young Italian company that has decided to combine art with children's clothing and natural fibers such as organic cotton. From this idea arise of the fantastic collections designed by young illustrators and artists that stimulate creativity in children, fantasy and imagination. The company also seeks to minimize its environmental impact by using recyclable packaging, GOTS certified organic cotton, biodegradable bags and web servers powered by wind energy. 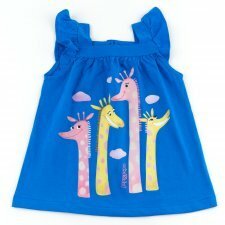 Blue girls tank top with giraffes print. Made of 100% jersey organic cotton, 160 gsm. 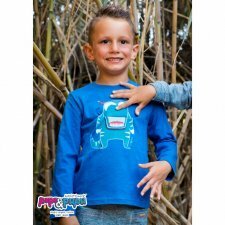 Long sleeve T shirt with flap mouth. 2 poppers on one shoulder only in 18/24 size. 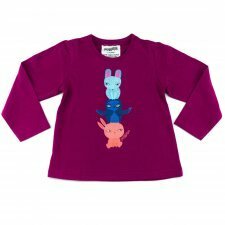 Made of 100% Organic Cotton, 180g/mq soft. Longs sleeve shirt with print. 2 poppers on one shoulder only in 12 months and 18/24 months sizes. Made of 100% Organic Cotton, 180g/mq soft hand. Orange short sleeve kids T shirt with deer print. 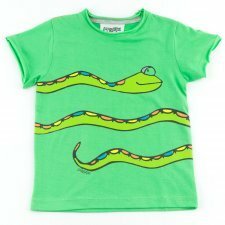 Green short sleeve kids T shirt with snake print. Open cut seams. Sweatdress/maxi shirt with pockets and print. 2 back poppers only in 18/24 months size. Made of 100% Organic Cotton, 280g/mq soft hand.